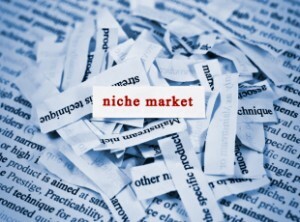 To get started with niche selection make a list of topics, or keyword ideas, that interest you. Don’t hold back, just write down anything that comes to mind! At this point you don’t need to worry about being too specific, you can narrow down the topic later if the topic is too broad, or too general. There are no bad ideas, so feel free to include anything & everything that occurs to you on the list. List topics you are passionate about, skills, hobbies, fears, problems or solutions to problems & topics you are interested in. If you don’t know much about the topic that is fine, just make sure it is something that you will be able to research & write about without losing interest too quickly. Free writing – Make a list of every topic you can think of in 10 minutes. Try to set a minimum of at least 20 topics so you can have a good base to start with. Set a minimum number of items for each of the topic categories & dig deep till you reach your quota. For example, you could set a minimum of five each. That would be five passions & hobbies, 5 skills, 5 fears, and 5 problems/solutions & 5 topics you would like to learn about. Go Out! – step outside of your usual space. Go to a coffee shop, library, park, university, plaza or bistro. Somewhere different to encourage creativity and open thinking. This might be hard if you are working on venture at night, but even going outside for awhile onto your balcony or to the yard can help get the creative juices flowing. Browse Amazon, eBay, Your local Library or Bookstore – browse through the books, magazines and items for ideas, interests & long lost hobbies. It’s a good idea for you choose a niche that you are genuinely interested because it will make generating the content (writing the text for the website) a whole lot easier & quicker & the genuine interest in the topic tends to produce higher quality articles. The fact is that no matter how great the niche you find is, if your content is poor or low quality your site won’t go anywhere. Your users will leave as fast as they come and your site will quickly fall off the radar. One important point to consider when coming up with topics and keyword ideas is what the earning potential might be of the topic. For example, topics that provide a solution to a problem tend to convert better than hobby topics in many cases. Of course this isn’t a hard and fast rule, but it is something to consider when brainstorming. For example, if you list ‘gardening’ as one of the topics you are interested in writing about, then addressing specific problems that gardeners face (such as cutting down on maintenance tasks, organic insect and pest control, or even a problem that is common to a specific plan – such as black spot on roses) could be a great starting point, providing opportunities for you to promote and create digital products to sell on the topic that users will be more open to buy because they provide a solution they need. Once you’re list is complete, it’s time to start narrowing down your list of topics to be as specific as possible. If you like dog training for example, what breed of dogs have you trained? Was it a mastiff, a boxer, a mutt? Or what did you train them to do? Walk on a leash? Do cool tricks? Dance the box step? Is there a difference between training different breeds of dogs? If you aren’t sure about a topic or how to make it more specific, don’t worry, in the next step we’ll be doing keyword research to help whittle down the topics and weed out the ones that are too competitive or saturated with other sites offering the same information. The goal at this point is to have have a list of a few possible niches, and they should be narrowed down as much as possible to a specific point of interest! Great work!